We are excited to announce the addition of a new flavor, Wildflower Honey, to our Gluten Free Organic Waffle lineup. The new Wildflower Honey waffle will hit shelves on November 21, alongside the existing Gluten Free Cinnamon Waffle and Salted Caramel Flavored Waffles. 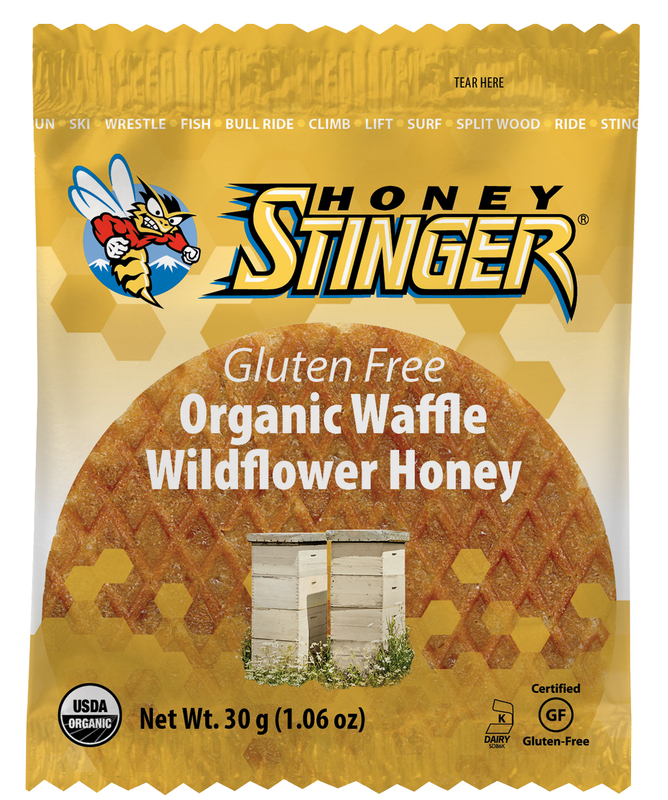 Honey Stinger introduced the first individually-wrapped Gluten Free waffle in January in response to increasing demand from consumers for a Gluten Free option of their popular Organic Stinger Waffle. Waffles are available for purchase in boxes of 16 (MSRP $23.84) or individually (MSRP $1.49) at specialty running, cycling, outdoor and natural foods retailers nationwide, and on www.honeystinger.com starting in late November. This entry was posted in Company News and tagged Bill Gamber, Bonk Breaker, Christian Johnson, Gu. Bookmark the permalink.